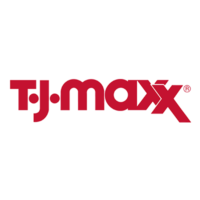 T.J. Maxx is part of The TJX Companies, Inc. Starting as New England Trading Company in 1919, the TJX Companies consists of several chains, including Marshalls, HomeGoods, and Sierra Trading Post. TJX has over 141,000 associates across over 3,000 stores in 7 countries, and was ranked #103 in the Forbes 500 in 2015. This business started with two brothers, Max and Morris Feldberg. Their company opened a store selling women’s hosiery in 1929, which spanned a chain across New England in about 20 years, one of their locations being located in Washington, D.C. In 1956, they opened up another chain of stores called Zayre’s. Twenty years later, Ben Cammarata was hired to create a new off-pricing store model. This is what we know today as T.J. Maxx, which spans over 1000 stores across the nation, including a store in Puerto Rico that opened in 2014. For instructions on how to apply for T.J. Maxx online, follow link included at the bottom of this article. There is also a free printable T.J. Maxx application form. You can either download application forms or apply online, or head over to your local T.J. Maxx for a direct application. There are many job opportunities at T.J. Maxx, both in-store and on the corporate level, both wages and salary positions available. Some of these include Store Manager, Assistant Manager, Loss Prevention Detective, and Sales Associate. There is always room to grow and advance as well, with plenty of opportunities in the corporate corner of the business. With some of these T.J. Maxx careers, of course, comes benefits. Some of these include medical and dental insurance coverage, disability, life insurance, vacation time and sick time, 401(k), and many more. Of course, these vary depending on job and location, as do the hours of operation. How old do you have to be to work for T.J. Maxx? Below are a list of some of the positions at our retail stores, as well as each of their responsibilities. There are many more job opportunities with T.J. Maxx, so if none of these sound good for you, there may be other positions that interest you. Contact them or visit their website to inquire about more employment opportunities. Store Manager: Ensures that the store maintains the standards of the company, as well as ensure quality presentation and customer service of the store that they are in charge of. Store managers also manage expenses and payroll for their store, as well as maintain contact with Regional Management. Managers use their own personal creativity to maintain a store to the corporate standards. Assistant Manager: Hire, train, and supervise staff, as well as oversee the display of merchandise as well as its sales. Loss Prevention Detective: Conducts security and surveillance for the store in order to minimize theft and product loss by conducting physical security checks and utilizing closed-circuit camera systems. Also conducts safety inspections. Sales Associate: Assists customers in finding and paying for merchandise in a friendly manner. Associates also maintain the appearance of the store. This role is important because sales associates are the direct line to the customers, and their performance makes all of the difference in the performance of the store. These are only a few of the questions that you may be asked at your interview. What experience do you have in this industry? To make sure you are best fit for the position at hand, we have to know how much you know about retail. Have you managed a store before? Are you friendly with customers? We want to know what you’ve done to ensure that we are using all of your talents to the fullest extent. Where do you see yourself in the next 2-3 years? Are you trying to earn some cash over the summer? Or do you see T.J. Maxx as a place to set your career goals? Would you call yourself a “leader?” The interviewer wants to know if you are up to the task of leading a group of people to success. Any experience you’ve had in any sort of leadership position should be brought out to the table here, showing that you have what it takes for managerial positions. How would you handle (insert situation here)? These questions are usually inserted in order to test your creative thinking skills. Make sure to answer these questions as efficiently as possible, always keeping the customer, as well as the business, in mind. Fill out the T.J. Maxx application honestly and completely, and attach your resume, if necessary. Keep a positive attitude and be respectable towards those giving you an opportunity to apply for a position at the company. These people hold the fate of your job in their hands, so you want to make a great first impression. Make sure to dress for success. For retail positions, consider a business casual look. Working for a department store, it helps to express that you have a sense of stylish professionalism. Research the position that you are applying for. Find out what your responsibilities consist of in that position, and be ready to compare your previous experiences to that job in order to tell the interviewer about how those experiences will make you the perfect candidate for the job. Be polite and personable. Make sure to shake hands with your interviewer at the beginning and the end of the interview, and make sure you thank them for the opportunity to apply for a job in their establishment. If a job with this company interests you, then follow the link below to check out T.J. Maxx jobs online.